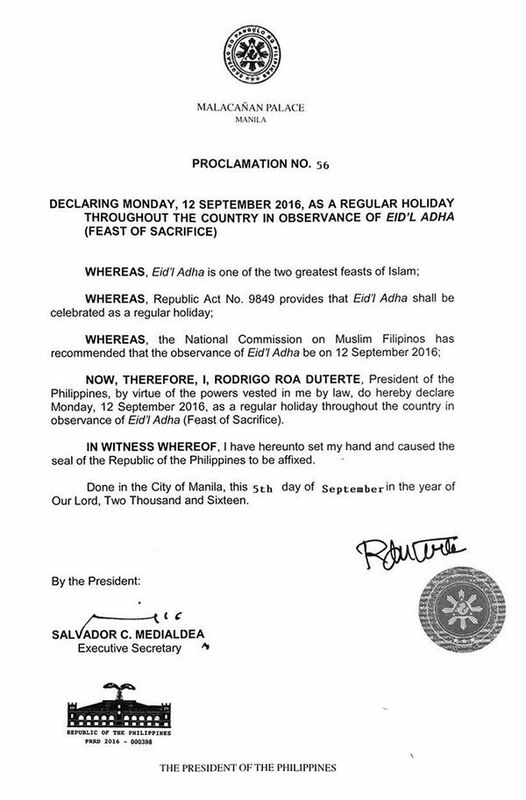 Monday, September 12, 2016 has been declared a nationwide non-working, religious holiday in the Philippines in observance of Eid'l Adha. Eid'l Adha (or Eidul Adha; translating to "Feast of Sacrifice") is one of the two most important feasts of the Islamic faith, the other being Eid'l Fitr, which was celebrated last July 16. Eid'l Adha was previously celebrated in the Philippines only as a regional holiday in the Autonomous Region in Muslim Mindanao (ARMM). On December 2009, former President Gloria Macapagal-Arroyo signed Republic Act 9849, declaring a national holiday the observance of Eid'l Adha—a movable date based on the twelfth month of the Islamic Calendar—although it was not declared a national holiday in 2009 as the RA was approved on December 11, days after the celebration of Eid'l Adha for that year. 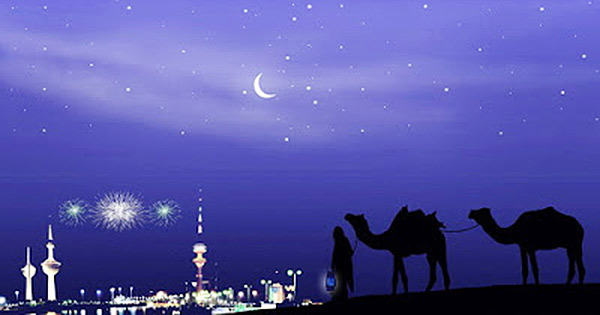 This year, Eid'l Adha will be celebrated on the 12th of September. It was declared a regular holiday by President Rodrigo Duterte through Proclamation No. 56. The National Commission on Muslim Filipinos, it said, has recommended that the observance of Eid'l Adha be Monday. It will be a long weekend. What's your plan?